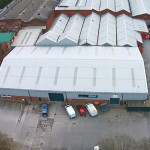 Workspace Properties are delighted to bring to the market Unit 8 Lower Healey Business Park in Chorley. This 12,500 sqft industrial unit offers fantastic value for money at a little over £3/sqft with a rateable value of only £12,500 and no service charge and won’t be around for long. For more information and viewings, please contact us. Workspace Properties are delighted to bring to the market Quinta Almira Villas in Portugal. Quinta Almira was originally a Portuguese farm, now it’s beautiful large private grounds are a perfect setting for our range of luxury holiday villas and small restaurant. The farm includes palm, olive, carob, various citrus fruit, fig, pomegranate, apricot and almond trees, and a small vineyard. Quinta Almira is completely fenced in, with a sweeping driveway and a remote controlled entrance. It is only a 5 minute drive from numerous cafes, restaurants and shops, a 15 minute drive from the finest beaches and golf courses and only 20 minutes from Faro Airport. Available to purchase at a fixed price of €1.68m for all 4 villas.